Welcome to La Petite Maison! Our romantic holiday cottage for two is set in 1½ acres of gardens and grounds, with a swimming pool and a large sun terrace. 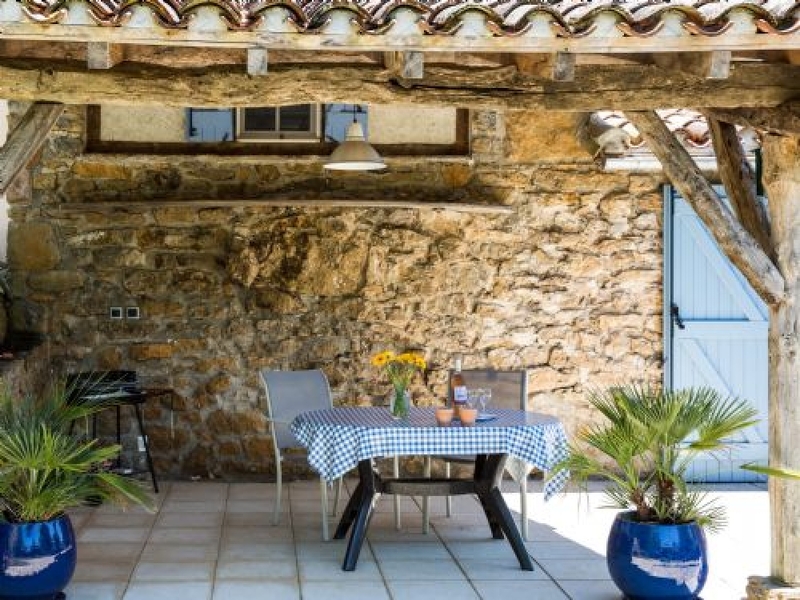 Built from the pale local stone, La Petite Maison has its own garden and terrace, ensuring complete privacy for guests. 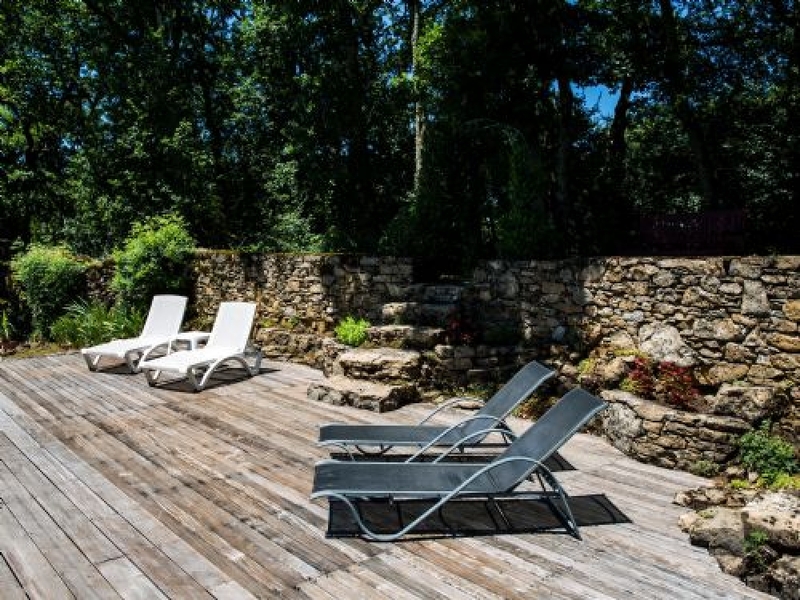 Formal landscaped gardens and shady oak woodlands surround La Petite Maison. The house overlooks a peaceful, verdant valley and has far-reaching views of the beautiful countryside. 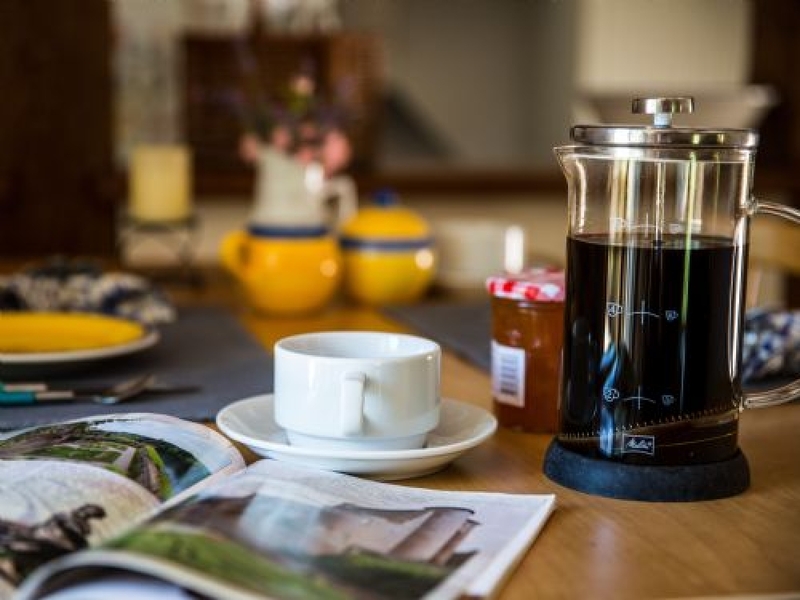 Guests are guaranteed calm and tranquillity all year round - just perfect for a relaxing, much-needed, stress-free holiday or a romantic honeymoon. 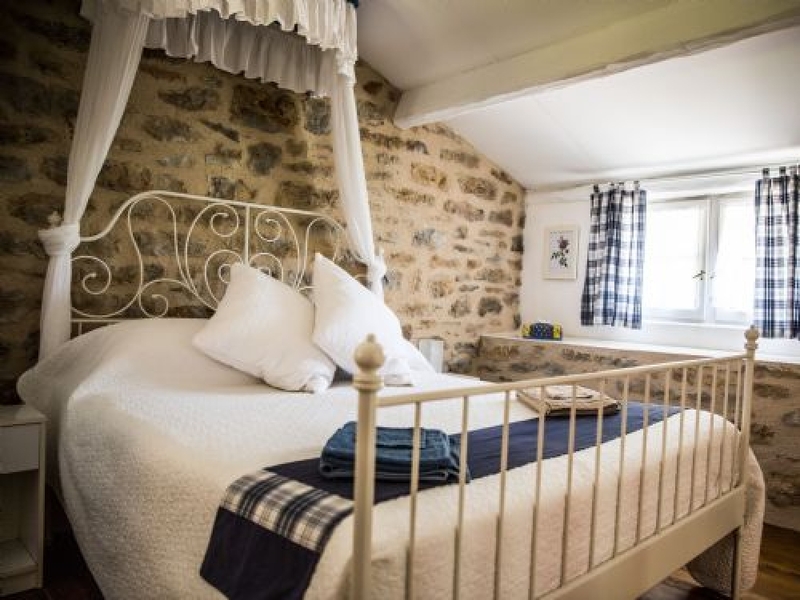 La Petite Maison is situated in the rural hamlet of Margot, 3 kms from the tiny village of St-Michel-de-Vax. The medieval town of St-Antonin-Noble-Val is just a ten-minute drive away, with a wide range of shops, restaurants and bars. La Petite Maison is easily accessible by road and by air. The A20 motorway is 30 minutes away and Toulouse airport is about an hour away (low-cost airlines and British Airways fly to Toulouse). 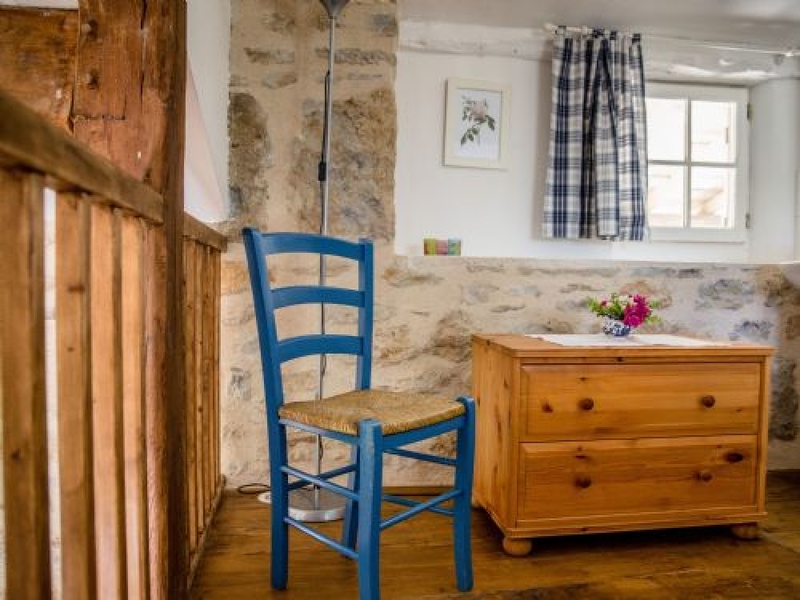 La Petite Maison accommodates up to two people. 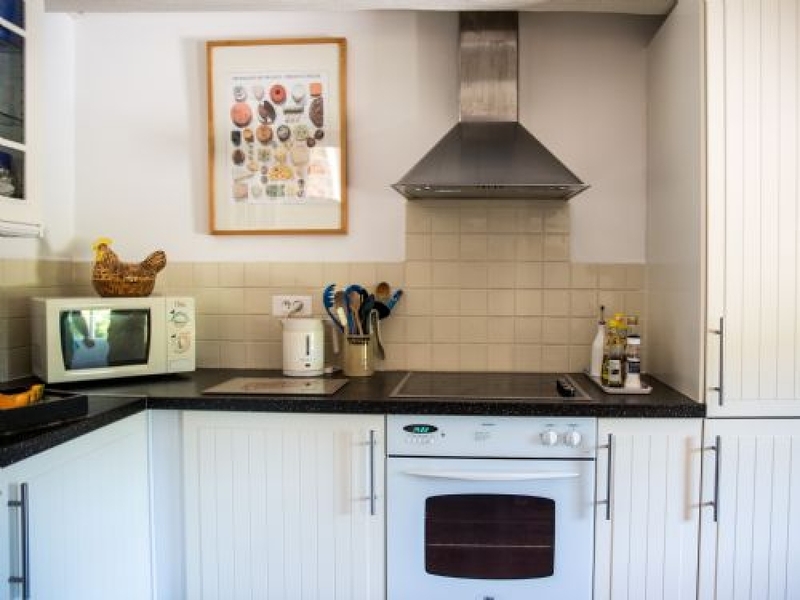 It has been imaginatively renovated to a very high standard and has double glazing throughout. 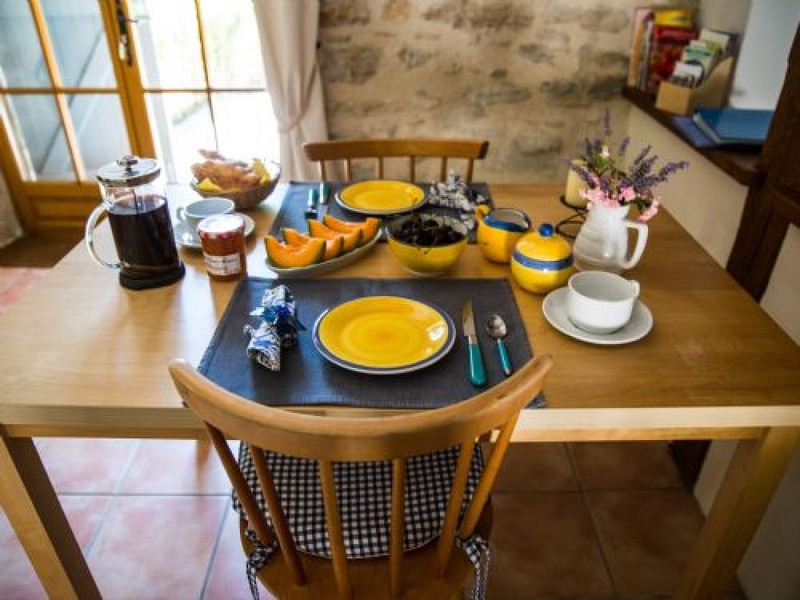 Set well away from the main farmhouse, La Petite Maison has its own private garden, covered terrace and parking area. The property is set well away from the owners’ main farmhouse. 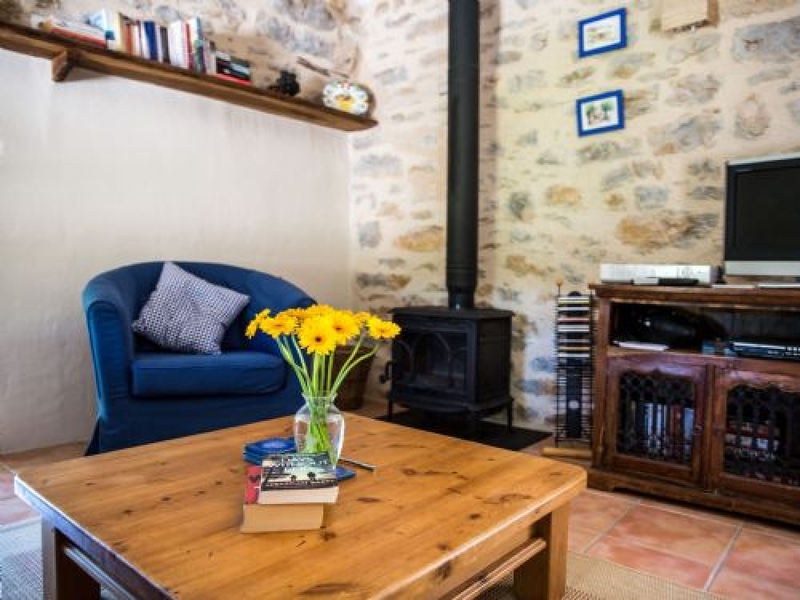 The sitting room is equipped with a comfy sofa and a wood-burning stove, along with satellite television (English free-to-air TV channels & radio), a free Wi-Fi internet connection, a DVD player and a CD player. Books, DVDs and CDs are also provided. Two glass candle sconces can be lit at night to add to the atmosphere. 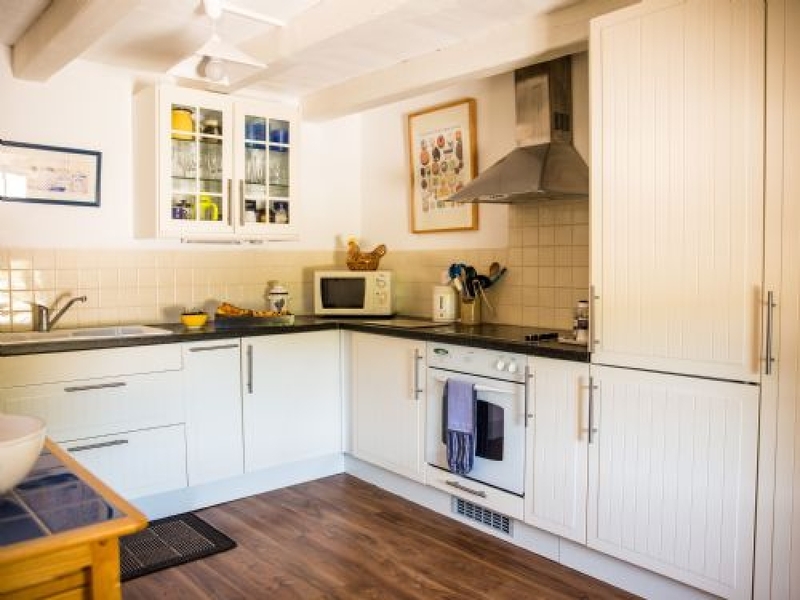 The spacious, fully fitted kitchen has a dishwasher, a fridge-freezer, an oven, a microwave, a ceramic hob and a washing machine. 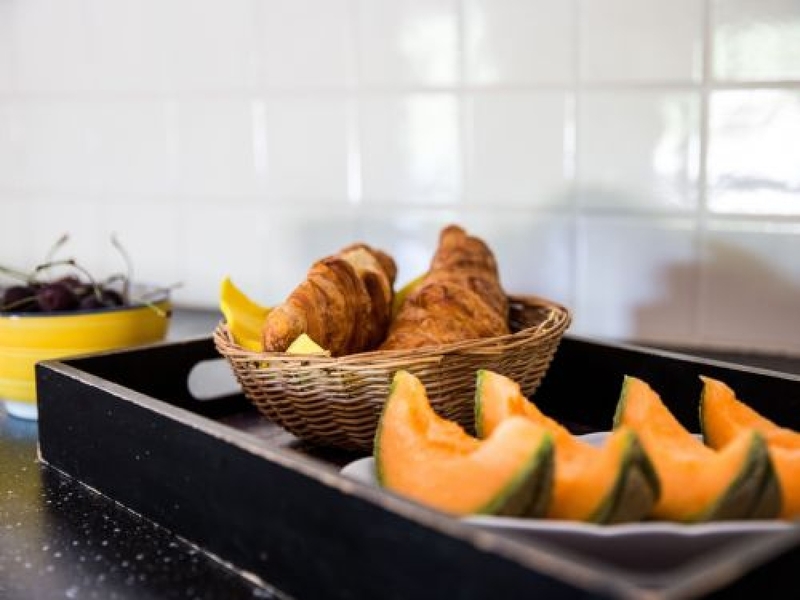 A Welcome Pack is provided so that guests can make a simple first meal upon arrival. 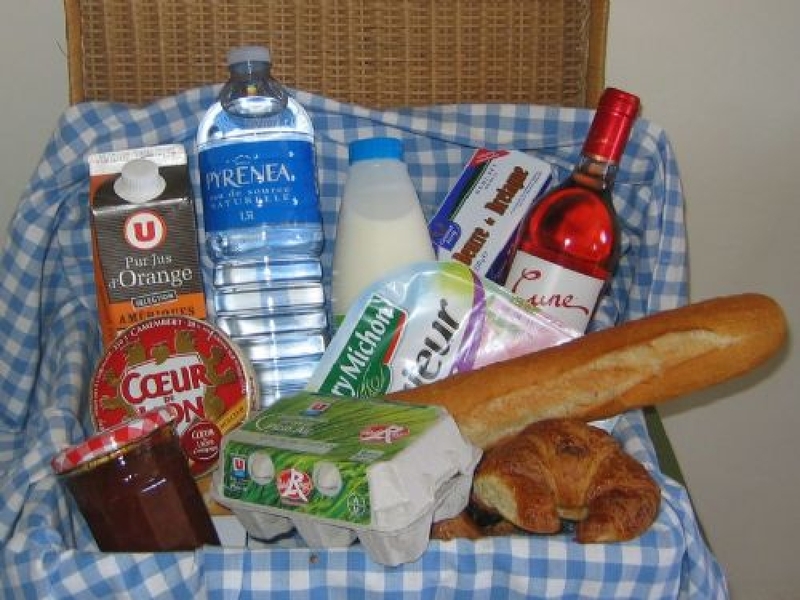 The Welcome Pack includes a fresh baguette, butter, jam, croissants, milk, fruit juice, eggs, ham, cheese, a bottle of mineral water and a bottle of local wine! From the ground floor, a short flight of stairs leads up to a romantic galleried bedroom with a large double bed, a wardrobe and a handbasin. Downstairs, there is a spacious, modern, bathroom with a shower, a hairdryer, washing machine, a WC and a handbasin. From the sitting room, French windows lead out to a covered terrace - the terracotta-tiled roof is supported by rustic oak beams. The terrace overlooks La Petite Maison's private garden, from where steps lead up to the swimming pool and the oak woodlands beyond. 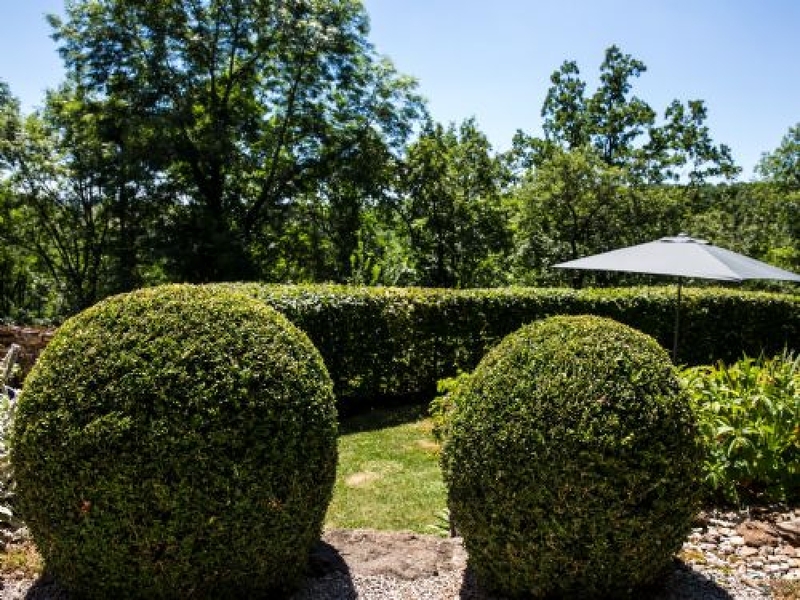 La Petite Maison has its own private garden and is surrounded by 1½ acres of lawns, formal gardens and oak woodlands. Wildlife abounds and nature-lovers will be fascinated by the sheer variety of birds and butterflies to be seen, such as scarce swallowtails, red kites and golden oriels. La Petite Maison's private terrace has garden furniture, a barbecue, charcoal and barbecue equipment for relaxed outside dining. Encircling the pool area is a dry-stone wall cascading with colourful shrubs and flowers. 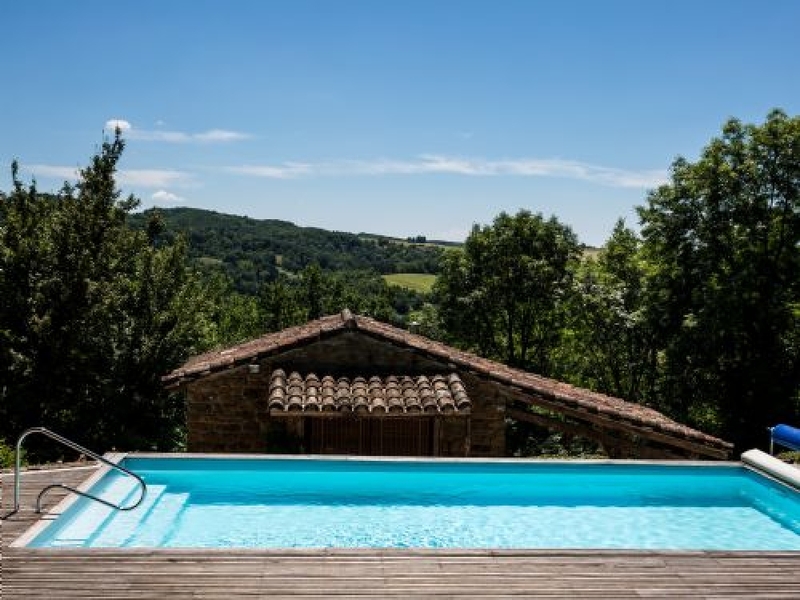 An impressive stone pigeonnier - typical of the Tarn and Aveyron - adds to the ambiance of this stylish pool area. Guests are also welcome to explore the adjoining oak woodlands to escape the heat of the day. 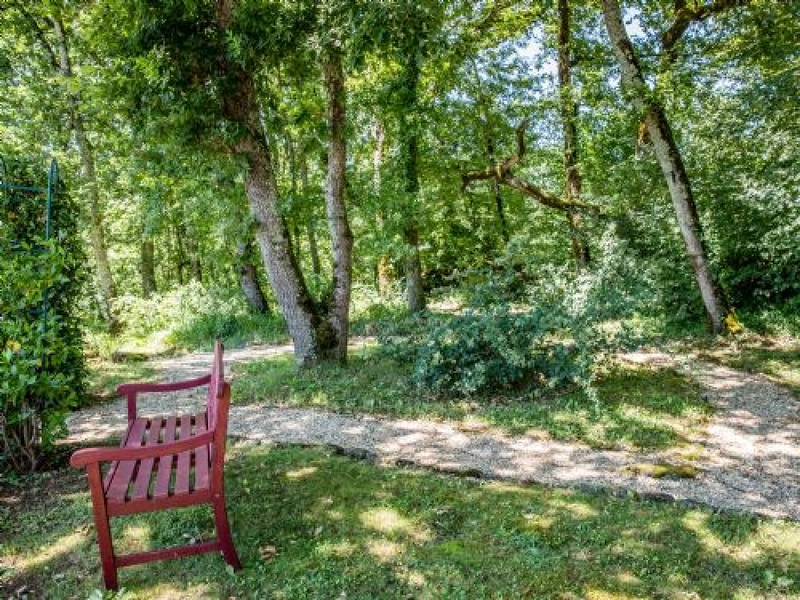 Find a cool, shady spot and settle down with a good book and a glass of wine - what could be more perfect? Romantic holiday cottage for two set in 1½ acres of gardens and grounds, with a swimming pool and a large sun terrace. 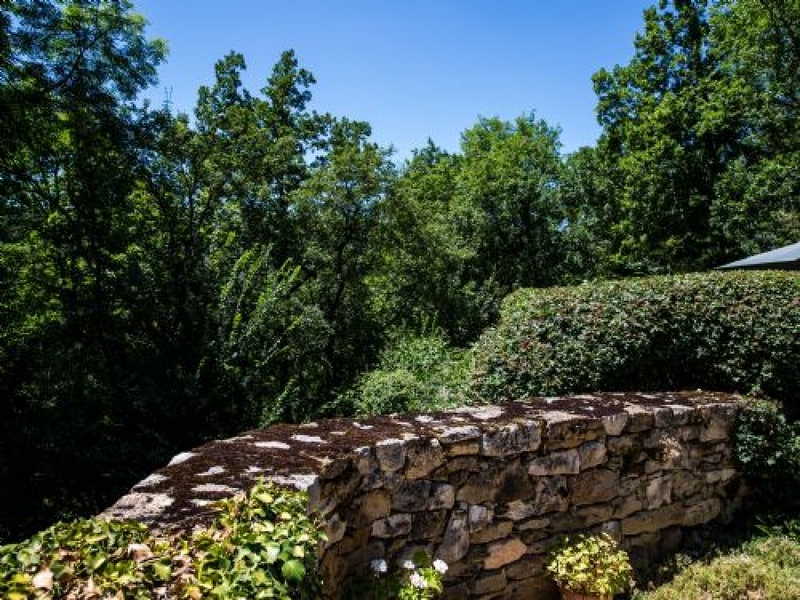 The house overlooks a peaceful, verdant valley and has far-reaching views. 1. 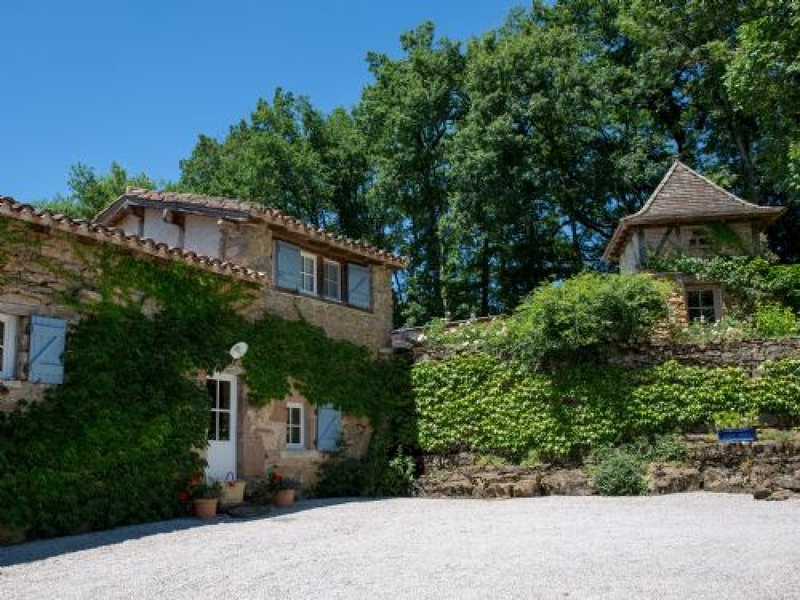 "La Petite Maison" at Margot, 81140 St-Michel-de-Vax, Tarn is offered to adults only for holiday rental by Francis & Clare Hansom. It is not suitable for children or animals/pets. 2. 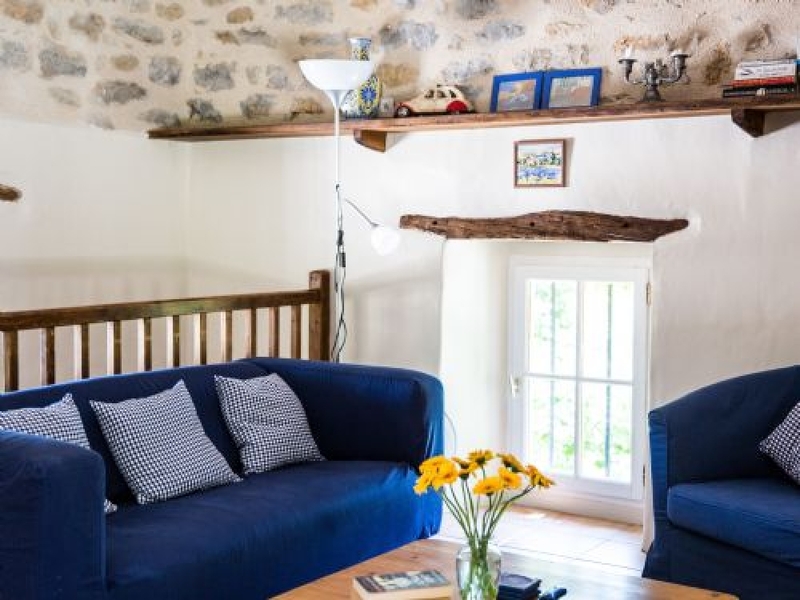 To reserve La Petite Maison, please complete and sign the booking form and return it to us together with a non-refundable deposit payment of 25% of the rental. Upon receipt of this, a confirmation will be sent. 3. For those staying less than a week, the full balance, together with a damages deposit of £200, is due at the time of booking. 4. The balance of the rent, together with the damages deposit of £200, is payable not less than eight weeks before the start of the rental period. If payment is not received by the due date, we reserve the right to treat this non-payment as a cancellation. Reservations made within 8 weeks of the rental require full payment at the time of booking. 5. The damages deposit of £200 does not limit the tenant’s liability to the Hansoms. 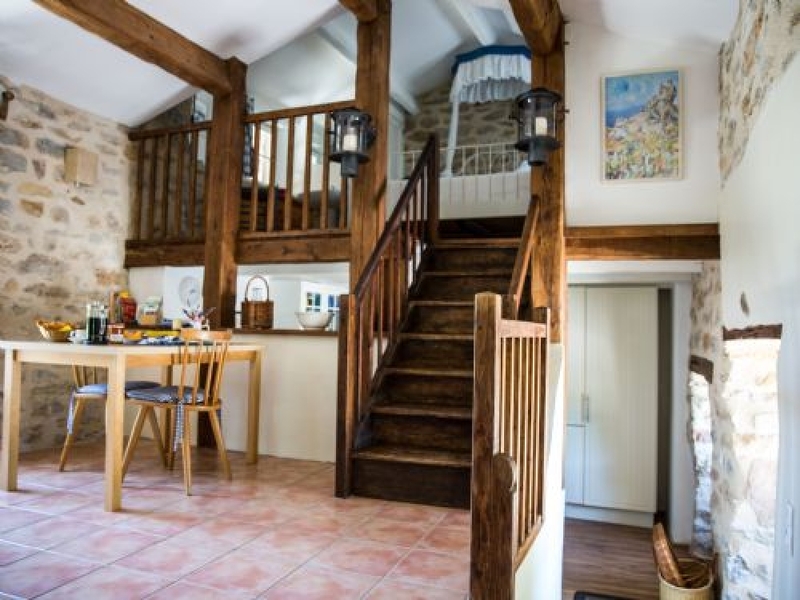 Costs of damages, breakages or failure to leave La Petite Maison in a clean, tidy and orderly condition upon your departure at the end of the Rental Period will be explained and deducted appropriately. Alternatively, a full refund will be made available. 6. We strongly advise taking out comprehensive travel insurance to include cancellation cover booking protection, personal belongings and public liability as the owner’s insurance does not cover these items. NB: if the rental is altered/cancelled or shortened before the final payment is due, and the host is unable to re-sell that period, a charge of 25% is made on the unsold period. 8. 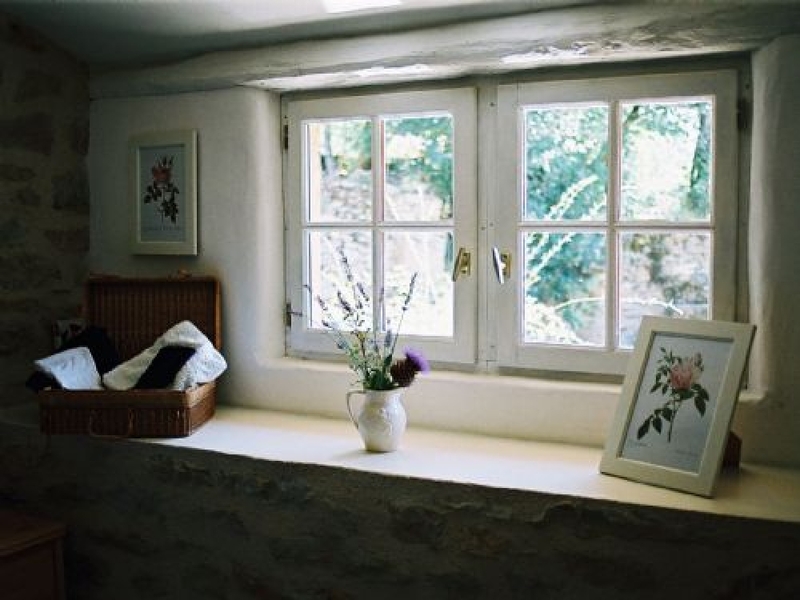 La Petite Maison will be ready from 4pm on the day of arrival and should be vacated by 10am on the day of departure. any loss, damage or inconvenience suffered if La Petite Maison becomes uninhabitable before the start of the rental period. In this unfortunate event a full rental refund will be made. No further liability will be accepted by the Hansoms. 10. The tenants and all visitors using La Petite Maison do so entirely at their own risk. No responsibility will be accepted for injury, loss or damage to property including personal belongings, vehicles and their contents. Unfortunately, La Petite Maison is not suitable for children or animals/pets. The medieval town of St-Antonin-Noble-Val is a 10-minute drive from La Petite Maison. The town was named after both "Saint-Antonin the evangelist" and also its magnificent riverside location - its "Nobilis Vallis" (noble valley). 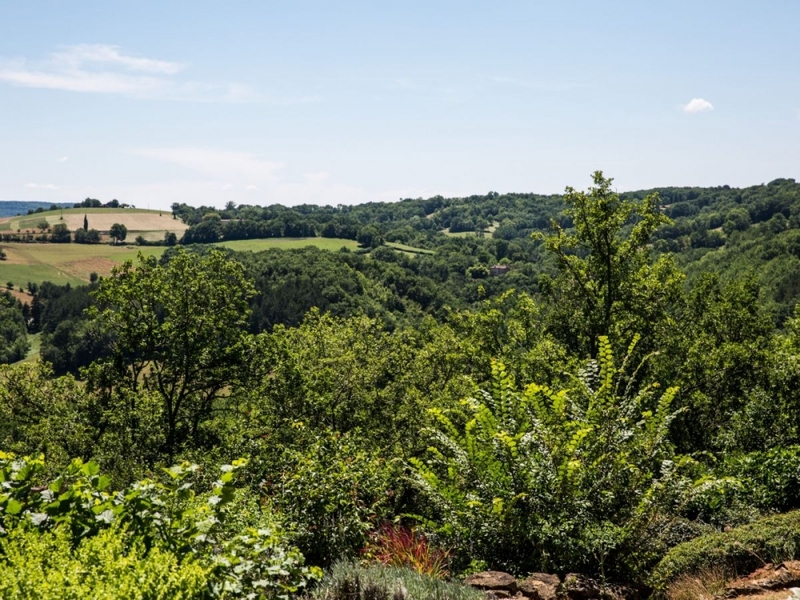 Set on the banks of the River Aveyron, the town's strategic location has been the site of many deadly battles over the years. St-Antonin-Noble-Val is also famous for its narrow winding streets and its architecturally beautiful buildings, including the oldest civic building in France, which was built in the 12th century. More recently, the town has been used in films, which include "Charlotte Gray" and "The 100 foot Journey", which starred Helen Mirren.Every Sunday, St-Antonin-Noble-Val hosts a magnificent market which attracts locals, tourists and even celebrities! During the summer, there is also a monthly "Marché Nocturne". In addition to the market, the town has two supermarkets, two estate agents (one English-owned), boulangeries, Tourist Office, bank, post office, garage, pharmacy, cinema, bars and restaurants. A larger selection of shops can be found in Caussade or Gaillac (both 30 minutes). Gaillac also has a hypermarket. Be sure to visit the nearby town of Albi which has a fabulous Cathedral, a museum dedicated to the works of Toulouse Lautrec and is a UNESCO World Heritage Site. This is a great area for cycling. There are several signed routes using a mix of car-less tracks and quiet scenic roads. They vary between long smooth valley roads and undulating climbs which can be quite testing. There are some very close climbs of up to 10km with gradients of up to 10% if you really like your hills. For walkers, the area abounds with petites and grandes randonnées (designated footpaths), many of which traverse St-Antonin-Noble-Val.